Exclusive: In August 2013, when the U.S. government almost went to war in Syria over a Sarin attack, suspicions that it was a rebel “false-flag” were ridiculed. But new disclosures about a rebel role in kidnapping NBC’s Richard Engel several months earlier show the rebels knew such propaganda tricks, says Robert Parry. 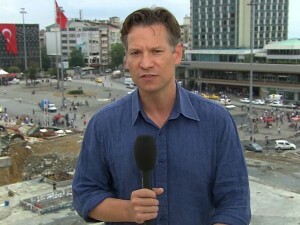 Richard Engel, NBC’s chief foreign correspondent. In the case of Engel’s staged kidnapping/rescue, the New York Times belatedly reexamined the case not in the context of a disinformation campaign designed to excite war against Syria’s Assad but as a follow-up to disclosures that NBC’s longtime anchor Brian Williams had exaggerated the danger he was in while covering the Iraq War in 2003 explaining the story’s placement in the business section where such media articles often go. The most serious journalistic offense by NBC in this case appeared to be that it was aware of the behind-the-scenes reality that individuals associated with the U.S.-backed rebels were likely responsible but still let Engel go on the air to point the finger of blame in Assad’s direction. The Times reported that the kidnapping “group, known as the North Idlib Falcons Brigade, was led by two men, Azzo Qassab and Shukri Ajouj, who had a history of smuggling and other crimes. NBC executives were informed of Mr. Ajouj and Mr. Qassab’s possible involvement during and after Mr. Engels’s captivity, according to current and former NBC employees and others who helped search for Mr. Engel, including political activists and security professionals. “Still, the network moved quickly to put Mr. Engel on the air with an account blaming Shiite captors and did not present the other possible version of events. NBC’s own assessment during the kidnapping had focused on Mr. Qassab and Mr. Ajouj, according to a half-dozen people involved in the recovery effort. While it’s impossible to determine whether the successful scam about Engel’s kidnapping/rescue influenced the thinking of other Syrian rebels to sponsor a false-flag attack using Sarin, some of the same propaganda factors applied with the U.S. news media jumping to conclusions about Assad’s responsibility for the Sarin deaths and then ridiculing any doubters. Another puny false flag? Who is counting? After the success of the attribution of the Twin Towers’ destruction to Osama bin Laden’s fanatical hijackers while its live video broadcast makes their explosive controlled demolition evident, this is hardly worth noticing. The Syrian rebels have much to learn from the false flag Masters. The â€œHoula Massacreâ€ was the first major false flag event to make news around the world, and was used as a pretext for western governments to kick out Syriaâ€™s ambassadors, in a staged farce. â€œEssentially, a small hamlet in Syria was invaded by â€œup to 700â€ insurgent fighters. They attacked three government check posts in a lengthy battle, where the army returned artillery fire. A contingent of these terrorists then went house to house seeking out political opponents and massacred the entire families of those who were still loyal to the government or who had converted from Sunni to Shiite Islam. “Essentially, a small hamlet in Syria was invaded by â€œup to 700â€ insurgent fighters. They attacked three government check posts in a lengthy battle, where the army returned artillery fire. A contingent of these terrorists then went house to house seeking out political opponents and massacred the entire families of those who were still loyal to the government or who had converted from Sunni to Shiite Islam. -Who are you to judge who is evil? -Who are the greater “evil” ones anyway? 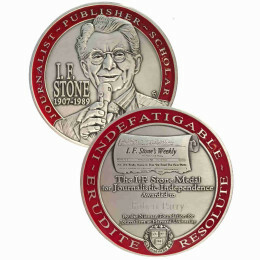 Many would assert that they are exactly those who proclaim themselves to be “indispensable”, “exceptional” and “chosen”. 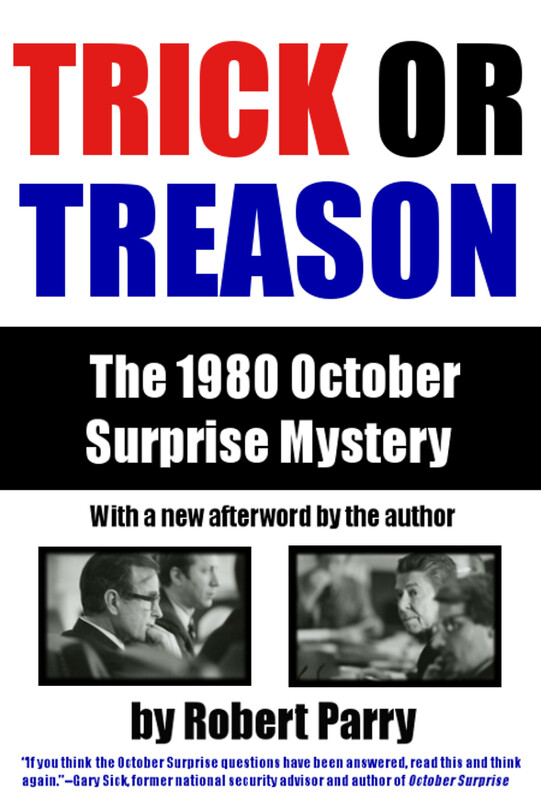 The dissidents were trying to inform the uninformed and/or misinformed, that the narrative put out there from day one, by the talking heads of the Neocons and Washington (the msm, mainly in USA) was ~95 % bogus and full of cherry pickings and blatant omissions. Still we have people here parroting the dangerous “policy of the lesser evil” when trying to redeem themselves. It is exactly that policy that has proven devastative to the world, because it will allow you to make a pact with any nefarious forces, for any made up “evil” objective, based on any kind of lie, anytime. In response to the call for support for Consortium News, Iâ€™m forwarding the site to friends on my email list â€” not that I have great hopes for an enthusiastic response because 95% of Americans are dimmed out. Moreover, this news is complicated. It requires prior knowledge and understanding and the PTB, the black hats (mostly US/us) behind the shameless Middle Eastern never-ending debacle, know this, even though and/or despite the fact that the large 2013 protests against Syrian intervention did shed some rays of hopeâ€¦ The NYT and the other false purveyors of honest news in America know how little is the chance that any serious critique of their shoddy reportage will arise â€” and if it does, they can just tell more lies. What Iâ€™m trying to understand is: How did it come to this? The sickness has seeped into every aspect of American life, including the universities. The universities! If we can not rely upon the educational system to provide an honest and enlightening foundation for responsible citizenship, then where are we? The answer is â€œnowhere.â€ We are nowhere. The future for America is very bleak. Yet heroic efforts are being made by people like Robert Parry to force our eyes to open, to make sense of the nonsense. Please send this person some money. Some pizzeria in NJ gets $800,000 for refusing service to gay people, but Parry has trouble reaching a $35,000 goal in his spring fundraiser. Is there something wrong? 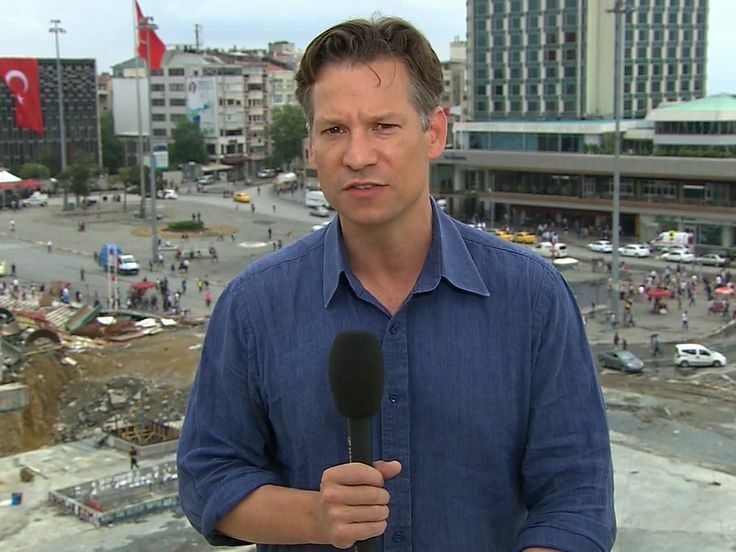 NBC introduces Richard Engel as a widely regarded and as one of Americaâ€™s leading foreign correspondents for his coverage of wars, revolutions and political transitions around the world over the last 15 years. Why did NBC and Mr. Engel took three years to come up with the truth? Sad state of journalism in this country. Washington orchestrated “Regime Change” and proxy wars usually have a shelf life. Once they last too long without reaching the ultimate goal (regime change) – the sting has reached the second most (maybe even the most important objective) important objective though, total chaos, death, social, economic and human destruction – then the facts start reaching out with greater momentum. This is usually fine once the objective has been completed – and the perpetrators can resort to plausible deniability and “it was a mistake”, it was “blowback”, all the while shedding crocodile tears that could end the water shortage in Africa. But once the operation has taken too long, journalists come out one by one, trying to do damage control, lest their reputation will be destroyed later, while other journalists cannibalise on the wasted liars of past proxy wars. 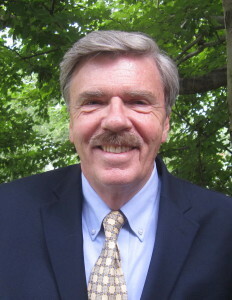 Thank you, Robert Parry, for your honest reporting. None of this report should surprise those of us who do *not* rely on “news” from the corporate media. They regularly lie, and fail to report the real facts about US hegemony & Pals in the Middle East. Same aggressiveness is found in the Ukraine, within the “secret” TTP deal, and in the Asian Pivot. Indeed, and those are great sources. It is really a waste of valuable time, to read any of the MSM news. I do not read or listen to any of them anymore, if I can avoid it. I may sometimes read some article here and there, for no other reason than to get a quick view of the current presstitute narrative. But really, spending more than half an hour on the MSM, is a very bad investment with time and resources – and even your mental health and sanity. I peruse them daily(msm web sites)to see what the enemy is thinking.NYTs,and Wapo. As and avid reader of news from around the world it baffles me over and over again how false the Western press is in their evaluations of current, and past events. One not pertinent to the above article is how the poison attacks were reported in other countries. In the Jerusalem Post it was reported by a chemical weapons ‘expert’ that the attack was obviously Sarin (because of yellow secretions from the months of these children. His field analysis and testing was done by a video he had watched in Israel. I believe this ways a lot about the theories many people want to believe with a modicum of on-site analysis. I hope he didn’t watch it in black and white as well. If a expert can make a determination miles away by looking at a video, it is a sign of the anti-medical views of so many of our leaders. Unfortunately this happens from the ‘experts’ too often to think they have any credibility in both the medical world and the policies which ‘drive the bus’ they all want to hop onto. Sadly, public opinion often ‘knee-jerks’ around the same misinformation. For example, if the MSM actually showed the sad Maiden square massacre and amplified the perps and made available the calibers used in the atrocities (like the doctor who was there) s many people in the US would be shocked, so that is why video is often hidden. If there were more videos of the Sarin attacks, the knowledgable could point out the inconsistencies in the human bodys’ reaction to such a chemical and the entry/exit wounds. Hence the news is squashed until it is doctored, or re-edited for public consumption, editing out the right sectors’ involvement, neo-nazies and the like. This is the same with the terribly sad Sarin, and it was often reported how unusual it would be have so many children in one spot without parents nearby or adults around. These views are often left the the sad few who know it is highly unlikely for such an event to occur especially within that culture. The same false flag tactics, with immediate buy-in by the US and mainstream Western media, occurred throughout the wars in the former Yugoslavia in the 1990’s. Thank you again for the article Mr. Parry. I still remember when our media and governments, I am Canadian, kept saying that Assad must go meanwhile that only Assad could be responsible for the Sarin Gas attacks. Now I don’t believe that Assad is some great leader but I see him as the lesser of two evils. I found it interesting that around the same time that the Sarin Gas attacks happened that the Al Nusra front was caught in Turkey with 2 kg of Sarin Gas. Also, I think alarm bells should have been going off when Pulitzer Prize Winning Journalist, Seymour Hersh, wrote “Whose Sarin?” and “The Red Line and the Rat Line”. Of course all of this was ignored in the mainstream media, also at the time I was watching the Young Turks who I believed were fair in their reporting but they also put all the blame on Assad and either did not know about the 2 kg of Sarin Gas in Turkey along with Seymour Hersh OR they chose to ignore this information meanwhile simply going along to get along with the US State Department line. The same misleading reporting can be seen about Ukraine as well. When I saw that US media, and western media, reported about what Victoria Nuland said meanwhile they focused on her saying “F*** the EU” â€“ with no investigation into this proving a US-backed coup (plus all of the information since has just been one-sided mainly relying on “social media” or photos from 2008 etc.). Overall, in both cases, it shows us how careful we need to be when we watch the news and what information they are relaying to us. Sadly, too many people ignore history otherwise it would not be so easy for our governments or media to propagandize us for their own benefit. I do not believe the Jewish controlled news media. I know that in Canada you can not mention the word JEW and their atrocities they commit with the Palestinians but in the regular news papers you will never see any thing that is against Israel. Every thing is controlled by these creatures and we are navigating in a sea of lies and deceptions.